The real estate brokerage industry is not very efficient and you might be surprised to find that most Realtors do not sell many homes. But have you ever considered what the impact to you might be if you end up working with one who does not do much business? Does The Pareto Principle Apply To Realtors Selling Homes? You might not know the Pareto Principle by its formal name, but perhaps you've heard about the 80/20 rule? Somebody might say something like "80% of the work is done by 20% of the people." Basically, it is the law of the "vital few," which suggests the majority of outcomes are the result of a minority of causes. The funny thing is we hear "statistics" like this used all the time, but I suspect they are more of a gut feel than an actual measurement. In fact, I've heard that 87.3% of all statistics are just made up on the spot :). 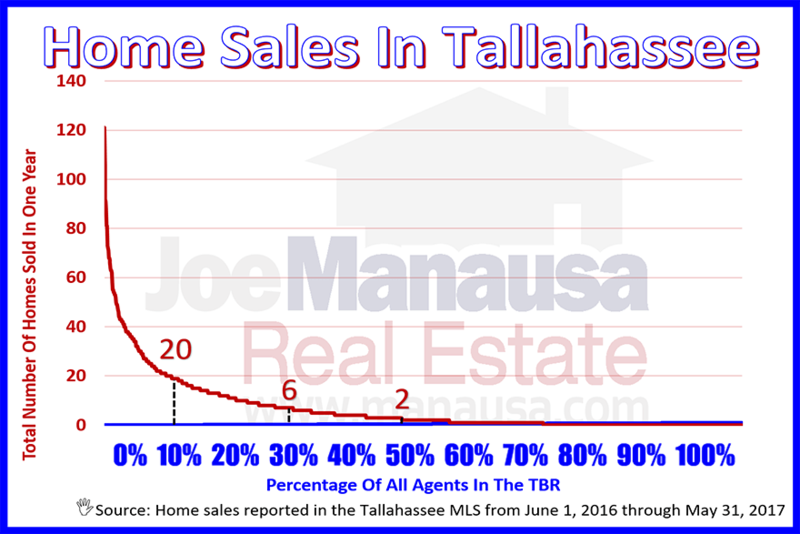 The following graph shows the relationship between the total number of Realtors in Tallahassee with the total number of homes sold over the past 12 months. 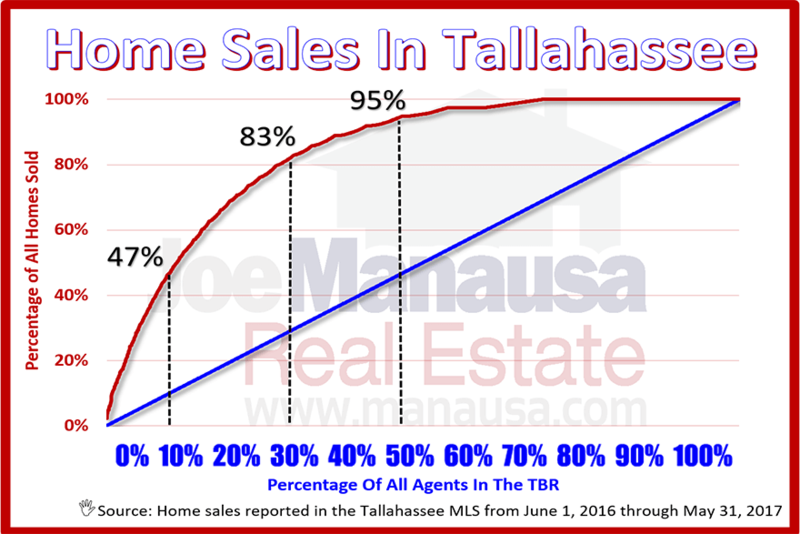 It is important to note that while this graph is derived from information provided by the Tallahassee Board of Realtors MLS and thus is "local" to Tallahassee only. However, I have always found the national publicized Realtor production statistics to be consistent with what we find here, thus I would surmise that this graph could very well represent what you would find in the majority of US housing markets. 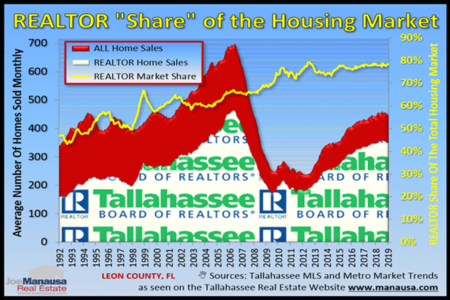 In the graph above, we plot the percentage of all homes sold over the past year in red and compare it with the percentage of all Realtors in Tallahassee (in blue). So the Pareto Principle does apply, just not to the extent that many have reported for Realtors. Both our local and national average number of homes sold per Realtor right now is just above 6 homes per years. But like many statistics, "average" can be very misleading. The following graph shows the number of homes sold per Realtor over the past year in red and compares it with the percentage of all Realtors in Tallahassee (in blue). So look at the right half of the graph above, it clearly shows that "average" is misleading and the majority of Realtors sell very few homes, if any! Clearly, the odds of winning at a blind draw for listing agents is not good. Research - Find out who is spending the big bucks to market homes in your area. Do you see them on TV. Do you hear them on Radio? Are they "all over the place" on Social media (Facebook), have signs all over town? Exposure is a big element in getting multiple offers on your home and it takes multiple interested buyers to drive up the final sales price that you receive. How can you tell they are effective? Google their name and see how many five-star reviews they have from past customers. The good ones stand out. Interview - I love the old saying .... "“Trust in Allah but tether your camel first." 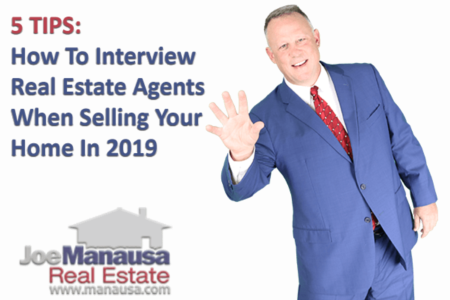 Take the time to interview the agents you have selected through research. Verify that they have a plan that works (find out their marketing budget for your home and get them to show you current examples of what they are doing on Facebook, TV, Radio ... if they cannot show you immediately of real, live current marketing, they are likely not worth hiring). Understand - You must understand their marketing plan and what you need to do to support the plan. Make showing easy for buyers, keep the home staged correctly, and get out of the home when Realtors come to show it to their buyers. But there might be more you need to do to secure top dollar for your home, ensure you understand your role in the sale of your home. Price - My best suggestion is to not discuss price until you have selected the Realtor to sell your home. Why? Because of this integrity paradox. You need a Realtor you can trust. Most Realtors want to win your business, and they know you want the most money possible for your home. So how do they win your business? They tell you they can get you more money for your home than can others. Simple. So you hire an Realtor who you cannot trust in order to get a price you cannot attain. If you hire the Realtor best equipped and prepared to sell your home for top dollar, the pricing recommendation you will receive (after hiring) will be accurate and will best serve your needs. Hire first, price next. 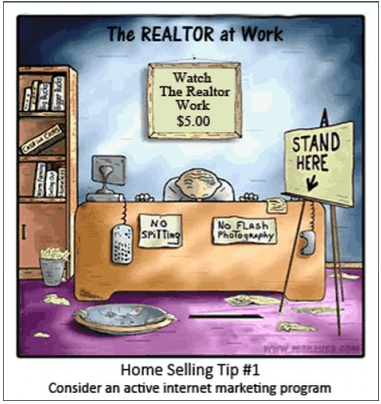 If the price your honest Realtor provides is not what you need, simply do not put your home on the market. If that is not an option, ask your hand-selected Realtor what other options might be available for you.